As the open evening recruitment circus draws to a close and Y7s across the country are already strutting the corridors with (over)confidence this post is a reflection on the pitfalls of selling our schools (souls) in the pseudo-marketplace of ‘parental choice’. Based on my observations in the schools I’ve worked in over the years together with the perspective gained from doing the rounds recently with my own children, there are some quite obvious things that work and things that don’t – for me at least. For now let’s suspend disbelief and imagine that parental choice is more real than it is and that wealth doesn’t determine who has a choice and who doesn’t. Setting all that aside for now, my main observation is that what you see is probably what you will get. It is not only a matter of integrity that the real experience your students have should match the marketing strategy – it is also that there is nowhere to hide. If you want to say something impressive about your school, the best thing to do is to actually make it impressive – and that should be the place to start. However, once you have something to shout about, it is also really important to get that message across – and I am often amazed at how often ‘own goals’ are scored. The scruffy students, ties akimbo, showing you around the school, or the Deputy Head on stage with his top button underdone, tie at half mast, looking like he has just come back from the pub. Serious about uniform – or not really bothered? (For me it is either no uniform or really smart uniform… and don’t get me started on clip-on ties.) 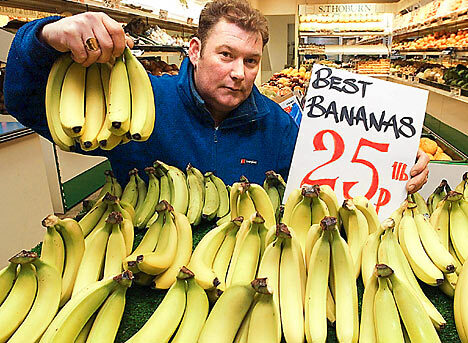 I’ve seen publicity shots and glossy brochures that aren’t much different to the Waterloo Road joke-uniform image. The Headteacher’s talk to parents where academic achievement was barely mentioned. (In fact, this is the single most common negative I hear from friends after their various school tour experiences.) Where was the message that a student destined for A*s and Oxbridge is coming to the right school? Where was the projection of total confidence in the staff to deliver superb exam results for the most able. I didn’t come for a ‘we don’t do badly considering all the challenges we face’ message. That doesn’t light my fire, even if it is true. Inclusion doesn’t preclude an absolute focus on academic excellence; sometimes the fuzzy warmth is over-done at the expense of harder-edged rigour and scholarship that many parents seek. The keynote student presentation given by a lovely, sweet, cool, down-to-earth girl – speaking yeah in a sort of like way that yeah I kinda hope my children like never like copy (rising tone at the end of the sentence…). Sitting in the hall with my Y6 daughter I wanted her to meet someone who’d knock her dead with aspiration, leaving her drooling with ‘I want to be like you’. Why didn’t they choose the most articulate, confident speaker to talk more about learning and less about pastoral care and extra-curricular activities. Talking about university is not elitist or daft or like, really borrring….. it shows you mean business from day one. The Headteacher’s talk that was basically an extended blag. The ‘best school’, an ‘outstanding school’ (despite what the Satisfactory OfSTED report says), brilliant results (if you ignore the data) and so on… blag, blag, blag. No-one was convinced. A disastrously mis-judged performance that only undermined confidence. The endless references to secondary transition as if it is daunting, scary, bewildering….when the vast majority of kids are so up for it, their Year 6 teachers have struggled to keep them penned in for months; they are bursting to get stuck in. Some kids may take longer to settle, but for most it is just not a big deal.They are giant super-confident fish in the pond of primary school; stop talking about them like little kiddies going back to nursery. It is good to know that people will notice and care if they have any problems… but more importantly, you want to know that they’ll have the run of the place – that they’ll be taken seriously as learners and the the sky will be the limit, taking them from where they left off clutching level 5s and beyond from primary school. The opening evening circus – who had this ludicrous idea that is now an arms race of ever bigger dancing pony acts? Who is persuaded that a demonstration of every single engaging KS3 science experiment in one evening is an indication of how good the school is!? It is going to be such a let-down afterwards – can we at least try to keep it real? My daughter did things on open evening (eg set fire to methane bubbles on her bare hands) that she has never been allowed to do for real in class. What is that about? There is a buzz.. it feels exciting… but this is not what school is like. All it really takes is a few keen students and engaging teachers to do the selling… tell me about the extended projects you set and what lessons are like… If I want a circus I’ll go to the big-top. One the other hand… I will confess to our own own-goal. Showing parents around school in July when Y11 and Y13 have left, Y12 are out on trips and all the Exchange trips are going on – is a bit of a disaster. The school feels like a ghost-town, where at least half the classrooms are empty. Not much else we can do but it isn’t the ‘typical day’ experience we’d like it to be. The disgruntled geography teacher who decided that open evening was a good time to let rip about the injustice of the recent curriculum re-shuffle. Of course ‘management’ hadn’t listened… the subject was utterly de-valued…. dumbing down…… Er, look, sorry I’m out of here, you’re not selling this school one bit. Is that in your interests? No it isn’t! Come on…. of all nights, surely this is one to put on a brave face and present a united front?! I left thinking, not only are staff prepared to slag off their SLT to all-comers, but they’ve dumbed down the curriculum by down-grading geography! I didn’t need to hear that. Lose-lose. Finally, when I’m looking to choose a school, I want something that will help make this school THE school, not the other school. Every school worth its salt will be able to tell parents that their child will be known, loved, cared for, nurtured in a great pastoral system. Schools are good at this in the main. It isn’t going to be a selling point per se. I want to know that my child will come home buzzing from the learning; they will be stretched, inspired, challenged, motivated, set on fire with aspirations to go beyond the limits…. I want to come away going..YES YES YES – I love that place. How much has this got to do with three levels of progress measures or the quality of the promised transition day? Very little. It has got a lot to do with the passion expressed by the people you meet and the word of mouth report-back from every current parent and student that you know. The truth will out! In choosing a school for your children, you are choosing it for yourself; don’t choose us if you are never going to come to parents’ evening, concerts, sports day or the Christmas Fair. If you don’t want your child to work extremely hard and to get tons of homework, this isn’t the school for you. If I’m asked which school is better, KEGS or any other school… I say choose the nearest one. My refusal to ‘sell’ my school in comparison to any other has been interpreted as a kind of arrogance; I don’t think it is… I just don’t think that it is right to play that game. 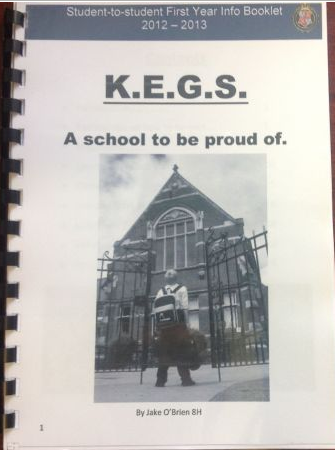 KEGS is a multi-faith school. We regard hymns as being a part of our cultural heritage and students of all faiths and no faith join in singing them if they choose. I love to say “we teach that evolution is a fact. Because it is.” I’m not going to get into the position of humouring creationist lunacy from anyone. I also like to point out that Charles Darwin has featured in our library stained-glass window for over 100 years. Footnote: Selective schools change the choice-market in different ways in different contexts. Having now seen my school in action, I’m convinced that it offers specialist provision that is not often matched for students of the same ability elsewhere. I’d say that the challenge is to match the provision, not to question it. My school and others like Latymer in Enfield are sensibly scarce and well located geographically and do not have a direct negative ‘creaming’ effect on any one school. There is an equilibrium that works. I know that this balance doesn’t always exist. I don’t have to work hard to market my school against any others, but I do have to make sure that it continues to deliver. Marketing in my context is also about showing that boys from a wide range of social backgrounds gain access to the school every year; it is more accessible than people realise.